Leading LGBT+ organisations have signed an open letter detailing why LGBT-inclusive education is more important than ever. For weeks, groups opposing LGBT-inclusive education have staged protests at schools in Birmingham, while in Manchester several primary schools have begun receiving complaints from parents. 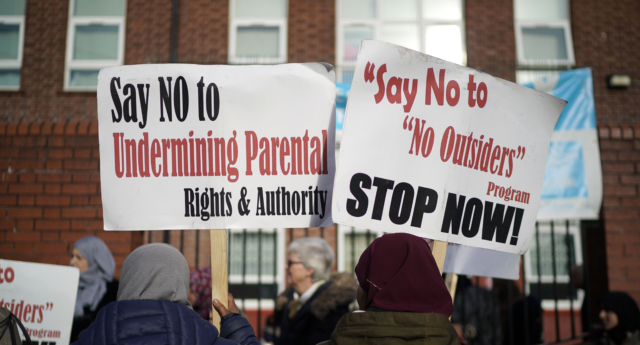 The current wave of protests originated at Birmingham’s Parkfield School, which has suspended the No Outsiders anti-bullying programme run by gay assistant headteacher Andrew Moffat “until a resolution is reached” on the issue. In recent weeks, we have been deeply saddened and alarmed to witness targeted campaigns against LGBT-inclusive teaching in our schools, in the media and online. Growing up should be a positive experience for everyone, and our schools have a vital role to play in this. Difference is a fact of life, and is something that should be understood and celebrated – this is at the heart of our work to make the world a more accepting place for LGBT+ people. An education which is LGBT-inclusive and teaches children to accept differences in others is crucial in building a society based on tolerance and respect. These campaigns, organised by a small group of individuals, have spread misinformation in an attempt to build opposition to LGBT-inclusive teaching. 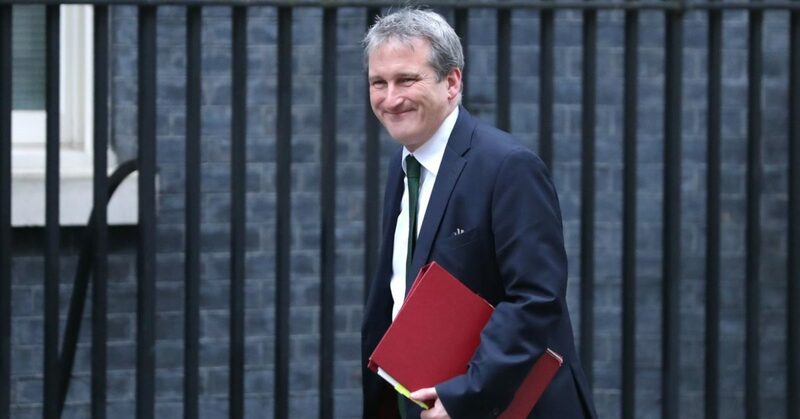 Their calls echo the damaging rhetoric that surrounded the introduction of Section 28, a piece of legislation that banned the so-called ‘promotion’ of homosexuality in our schools. Even though Section 28 was repealed in 2003, it scarred a generation of LGBT+ people, and continues to cast a long shadow today. Many teachers are still unsure of whether they can teach pupils that LGBT+ people exist. 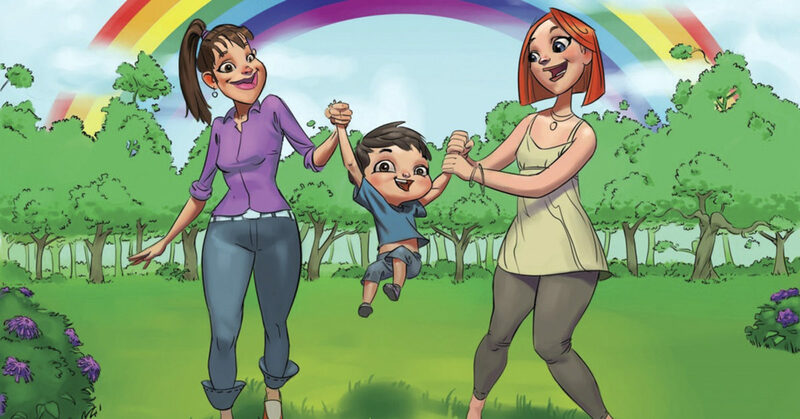 Teaching about people from all different walks of life, including LGBT+ people, makes sure that every child sees themselves and their family reflected in what they learn. It ensures that all young people develop inclusive attitudes towards those who are different to them, helping to tackle the anti-LGBT and prejudice-based bullying that remains widespread in our schools. It tackles the myth that being LGBT+ is a choice, rather than simply a part of who someone is. It also supports every LGBT+ young person to grow up knowing there is absolutely nothing wrong with who they are, and who they love. Together, we work with thousands of schools across Britain to help them deliver LGBT-inclusive teaching and create inclusive learning environments. This includes hundreds of faith schools and church schools, who are challenging the false narrative that you can’t be LGBT+ and of faith. We must also recognise the experiences of the many people of faith who are also LGBT+, and the fact that many have found love and acceptance in both their religious and LGBT+ communities. Sally Carr MBE, Operational Director at The Proud Trust.